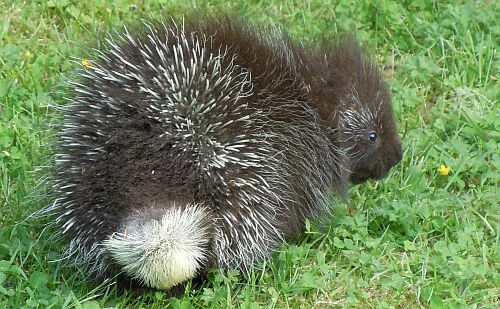 Porcupines are not fleet of foot, but Nature has given them protection. These photos are charming, Amy-Lynn, and the information good, too. Seven months! Almost as long as — AS long as some human babies! Pamela, that long gestation period is really something, isn’t it? I wonder why it’s so long compared to most other mammals. I also found it odd that only one baby was born each year. 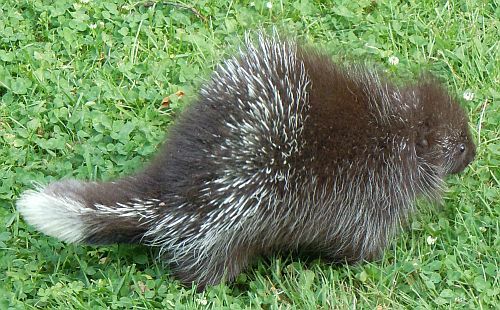 It’s amazing how the species has survived considering how often we see these creatures as roadkill. 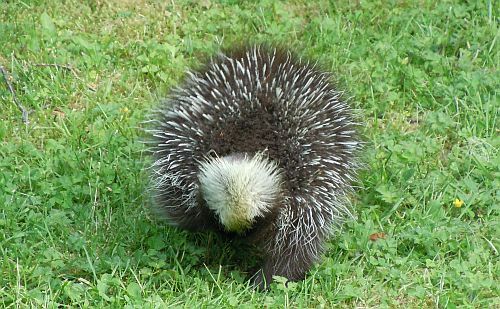 Colleen, who knew young porcupines could be so charming! I warned my grandsons NOT to try to pick it up if they saw it in the woods. Great pictures of your little visitor. Thanks Bonnie. I was lucky to be able to get so close to it. It was right next to the back deck where I had a great vantage point. So very cute. I’m glad Sooki wasn’t there. Oh how beautiful. 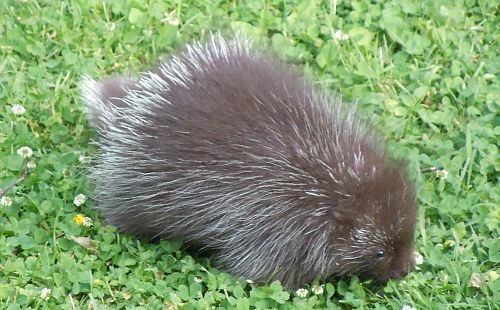 I’m so pleased you were there to see this young porcupine. They tend to keep so well hidden here.